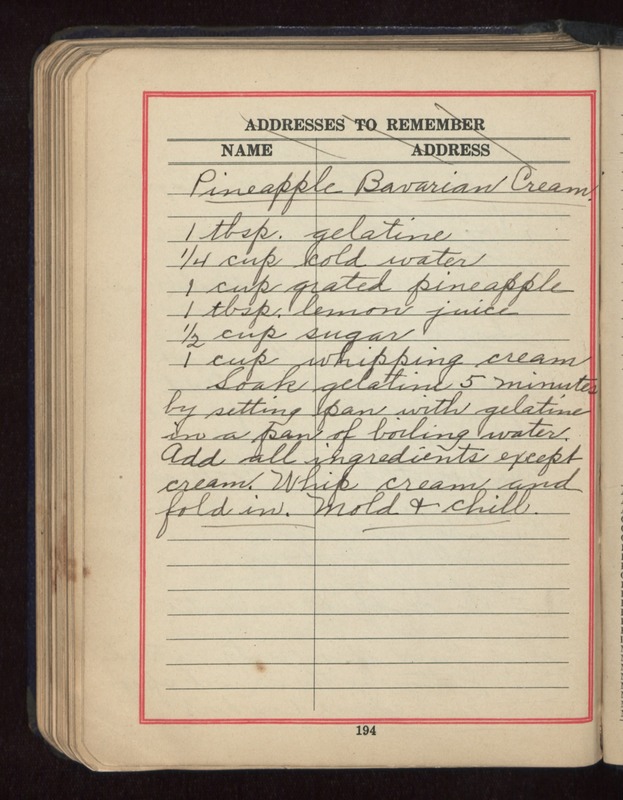 [[underlined]] Pineapple Bavarian Cream [[/underlined]] 1 tbsp. gelatine 1/4 cup cold water 1 cup grated pineapple 1 tbsp. lemon juice 1/2 cup sugar 1 cup whipping cream Soak gelatine 5 minutes by setting pan with gelatine in a pan of boiling water. Add all ingredients except cream. Whip cream and fold in. Mold & chill.